El Time kept us all informed on The Witcher filming on the island of La Palma. 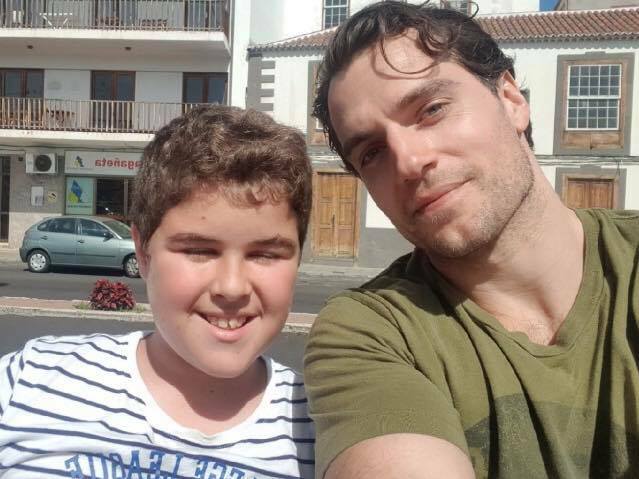 Now that the cast and crew are headed back to Budapest, the online publication shared the highlights of their time there, including this new pic of Henry with a fan! Director Charlotte Brandstrom confirmed she's now in Budapest, as production picks up there again. Cinematographer Jean Philippe Gossart has also been posting some beautiful shots from the different sets of the show on the Canary Islands. Finally, a restaurant in La Palma hosted some of the members of the cast and they shared this photo today. The Netflix fantasy show is expected to premiere on the streaming service later this year. Me encanta ver a mi fortachón favorito, tan guapo como siempre y tan amigable con sus fans. I love you Henry!! Glad to see him happy. Welcome back to Budapest, Henry.